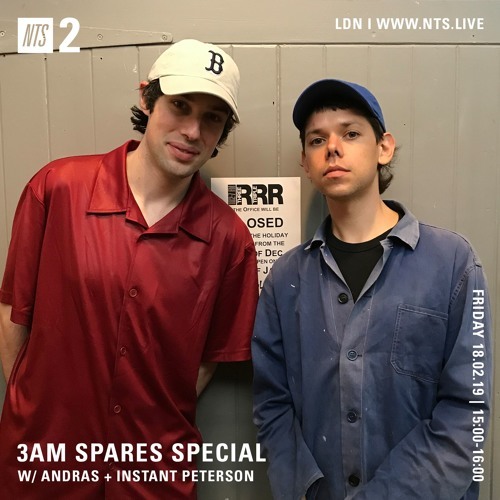 Andras & Instant Peterson expand on their 3AM Spares compilation concept with more 90s obscure Australian dance trax from The Cubs, Telefonica, & Artificial. THE CUBS - Right To Bear Arms THE OBVIOUS - Every Night CASTEL -UHF (Extended Primary Mix 2001) TELAFONICA - Penut HipHop AUDIO CEPHALON - Automation METRIC SYSTEMS - Chinatown Warehouse GENLEVEL - Paranoious ARTIFICIAL - No Taste In Music LUKE COLLISION - Suk It BEN BUSINOVSKI - Displacement CO KLA COMA - Eleven Things In Order CHRIS GREGORY - Palindrome ZEN PARADOX - A Flash Of Gold On The Dying Horizon Originally aired Jan 19th, 2019 on @NTS Radio. You weren't kidding about being obscure - I can't find this anywhere. You even beat Google. Any ideas where I could get a digital copy of this (i.e. The Obvious - Every Night)? what is this one may I ask?